Binagoongan means cooking something with bagoong. Bagoong is a condiment from the Philippines made of fermented fish or krill. 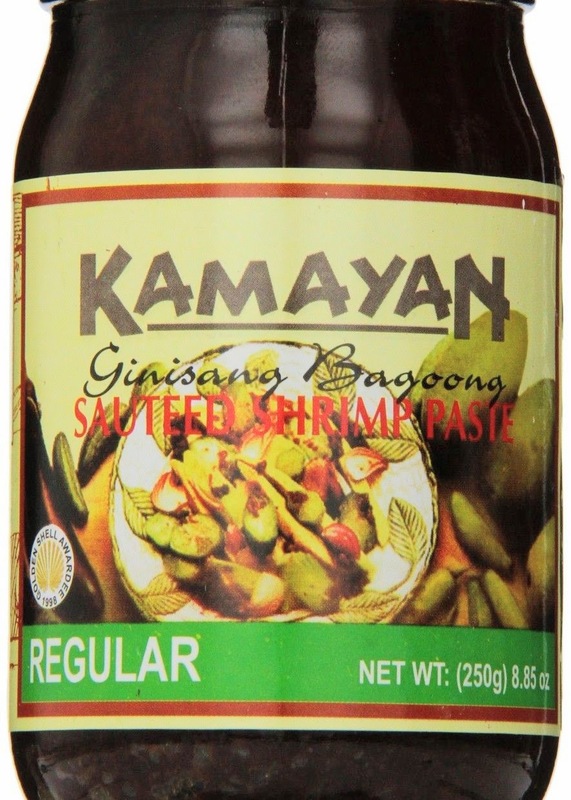 I used the Kamayan Ginasang (Sauteed) Bagoong in regular for this recipe. This bagoong is already sweet so adding sugar is no longer needed. For the following ingredients, use your judgment. The more spices you use, the more flavor you will have. Heat your pan and a good amount of coconut oil when ready. Saute the tomato, garlic, yellow onion and ginger. Once the onion is already caramelized, add the chicken and pork. Add the Shrimp Paste. Cover and Simmer for another 5 minutes. Add water or the chicken broth, and the vinegar. Simmer until the meat is cooked. Add salt and pepper, start in small amounts. Add the cayenne pepper if you want it to be spicy. Add the eggplant, simmer until it's soft and brown.